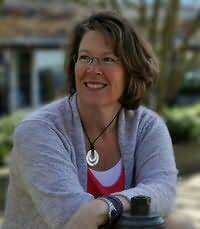 Heidi Hostetter is the author of the Inlet Beach novels, stories set in a fictional small town on the Oregon Coast. The debut novel, The Inheritance tells the story of three estranged sisters who jointly inherit a beach house from a relative they don't remember. Of course, the sisters plan to sell the house, but the townspeople have other ideas. The second visit to Inlet Beach is a Christmas novella called A Light In The Window, a heart warming tale of second chances and what it means to be a family. Heidi Hostetter lives in the Pacific Northwest with her family and her writing buddy, a very energetic Labradoodle named Emmett. He sleeps beneath the open window in her office and has a long-standing disagreement with delivery people. Heidi's favorite stories involve strong characters, unique circumstances, a strong family dynamic and a splash of humor. If they take place at the beach, all the better.